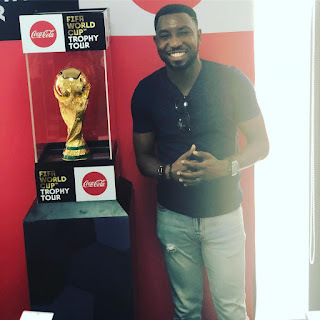 Singer, Timi Dakolo shared this photo via social media as he posed beside the World Cup Trophy. Coca-Cola brought the coveted trophy to Nigeria on tour. "I CHILLED WITH THE WORLD CUP TROPHY 🏆"